The PhysChem Forum Committee are pleased to announce that our fifteenth Physical Chemistry Forum will be held at the Uppsala Biomedical Centre, Uppsala, Sweden on Thursday 29th January 2015. It will take place back-to-back with the 6th Symposium on Pharmaceutical Profiling in Drug Discovery and Development, which will take place on Wednesday 28th. The speakers will include: Prof Per Artursson (Uppsala University), André Mateus (Uppsala University), Professor Romeo Cecchelli (Université d´Artois), Dr Stina Syvänen (Uppsala University), Dr Sara Belli (Roche, Basel), Dr Pär Ewing (AstraZeneca, Mölndal), Dr Peter Marshall, (GlaxoSmithKline Stevenage), Dr Marcus Fridén (AstraZeneca, Mölndal), Dr Per Bäckman, (AstraZeneca, Mölndal). All posters are welcome. A prize will be awarded to the best poster as decided by the committee. We shall be holding a 'Welcome Dinner', including a key-note presentation by Prof Per Artursson on Wednesday 28th January (the evening before the symposium). Attendance will only be allowed with prior registration. To register, please complete the registration form and return it to Ulla Wästberg-Galik. Please ensure that you specify whether or not you wish to attend both meetings (PCF and and 6th symposium on pharmaceutical profiling). 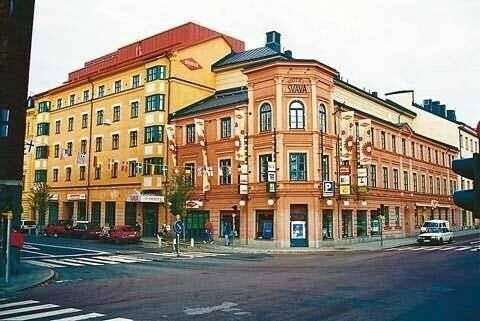 A number of hotel rooms are reserved for meeting participants at Best Western Hotel Svava in Uppsala city center. To receive the discounted price of 950 SEK per night (incl breakfast) state reference number 131511 and the conference name UDOPP. Reservations are made either by phone +46 18 132230 or e-mail info@hotelsvava.se. Reservations made through the web portal do not obtain the discount. Reservations for hotel rooms must be made prior to December 15, 2014, to obtain the discounted price. Exhibition: There will be an exhibition during the days of the two meetings (PhysChem Forum 15 and 6th Symposium on Pharmaceutical Profiling in Drug Discovery and Development). For more information contact Christel Bergström. At the Uppsala Biomedical Centre, Husargatan 3, Uppsala. Uppsala is situated 30 km north from Stockholm Arlanda airport which is the international airport in Sweden. Other airports in the area are Stockholm Västerås airport, Stockholm Bromma airport and Stockholm Skavsta airport. From Arlanda train and buses depart every 30 minutes and take 20-30 minutes to reach Uppsala. Västerås, Bromma and Skavsta have longer transportation times to reach Uppsala. The meeting takes place at Uppsala Biomedical Centre (BMC) which is where the Faculty of Pharmacy at Uppsala University is located. BMC is reached by bus from the central station (just opposite to Hotel Best Western Svava) or by a 25 minute walk. Green city buses depart every 5th minute and reaches BMC within 10 minutes. Buses passing by BMC are 3 and 14 (towards Ö Gottsunda), 110 and 115 (towards Ultuna) and 111 (towards Sunnersta). BMC is located at the stop Uppsala Science Park. Tickets are purchased in advance at the central station. Abstracts for posters are submitted to Christel Bergstrom by December 15, 2014. Abstracts should include the following subtitles and contain maximum 300 words: Aim, Methods, Results, Conclusion.